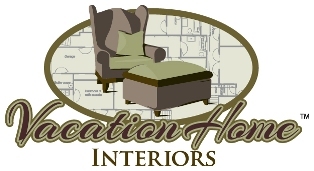 Vacation Home Interiors is the interior design arm of Vacation Holdings, LLC which offers exclusive high end luxury homes for vacation rental. We have over ten years of experience in the vacation rental business and have developed a set of tools and systems that enable us to have a vacation rental property fully furnished and up and running in less than six weeks. Understanding the value of marketing, brand image and trademark protection the team learned early on the value of hiring the right marketing professionals to help create the right brand image. They have a team of graphic artists that help to create the unique identity for every project they take on. The Strauss team has surrounded themselves with the best expects in the field. Chris Schrader of Schrader Designs handles the interior architecture and floor plans for all of Vacation Home Interiors design projects. He is a skilled designer that strives to surpass client’s goals through creative solutions. He graduated from the College of Arts in San Francisco and upon completion of his studies he graduated from the School of Architecture with a BFA in Interior Architecture.